Come party like an animal with “kindie rock” superstar Laurie Berkner! *Discount applies to rear chairs and lawn only. Not valid on previously purchased tickets. See ticket giveaway below! The Laurie Berkner Band – Event & Ticket Info. Bring your own snacks and drinks for a picnic on the lawn in the beautiful Strauss Square. Lap seating is available for children 1 and under. Free with paid adult admission. VIP Meet and Greet Tickets are available for seats in the first three rows. Progressive “kindie rock” superstar Laurie Berkner never expected to emerge as a children’s recording idol. As a rock musician in the early 1990s, Laurie struggled to write original music for Red Onion, her rock band, but, somehow, writing for kids came easily. From her first album Whaddaya Think Of That? in 1997 to Rocketship Run in 2008, Laurie has created music that’s less saccharine and never dumbed down. Her ability to create songs that parents love as much as kids has created an entire children’s music genre. 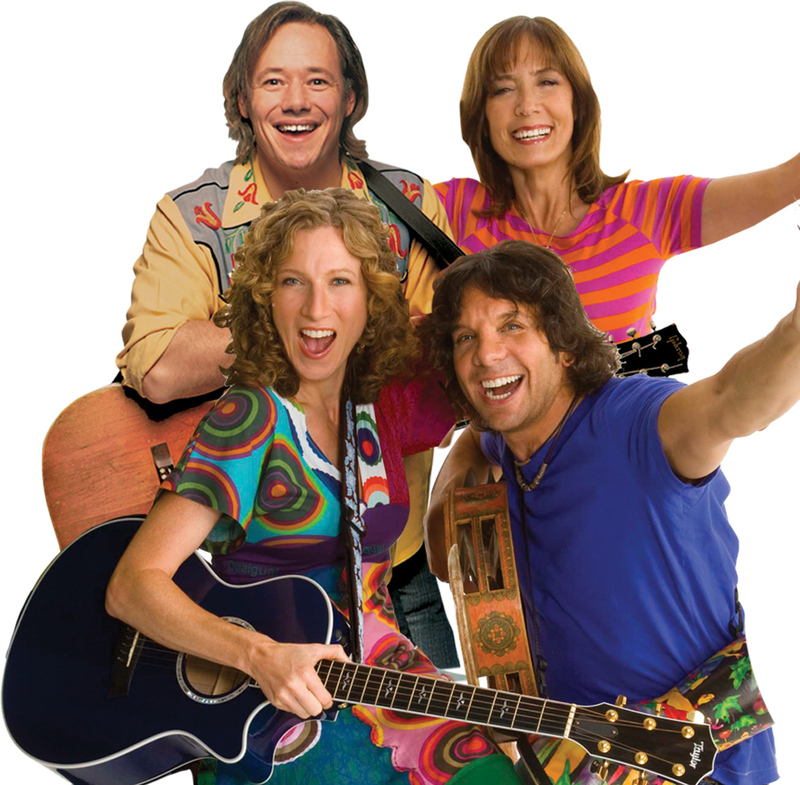 In addition to Laurie on guitar and vocals, the band features Susie Lampert on keyboards, Adam Bernstein on bass, and Bob Golden on drums and percussion. In June 2010, Laurie released The Best Of The Laurie Berkner Band, her first- ever compilation of songs, which received a N.A.P.P.A. Silver Honors Award. Would you like to win 4 tickets to see the Laurie Berkner Band? 3. Leave a comment below with a link to the url of your repinned post. 3. Leave a comment below with a link to the url of your shared post (click on the time stamp to get to the URL). Contest ends on Thursday, March 7th at midnight CST. Winners will be notified by email (the one you use to leave the comment below) and must respond ASAP! https://www.facebook.com/#!/brittany.mahaffey/posts/134857543355047 shared to facebook. My son LOVES them! Repinned our favorite children’s singer! My kids LOVE Laurie Berkner. We’ve been listening to her music and watching her videos since boy my children were little babies. Our family would thoroughly enjoy getting to see her perform in person!!!!! We would love to go to this show!!! Shared on Facebook. We just moved to TX and would love a reason to explore. We think Laurie Berkner is great! From when our twelve-year-old was younger and now on to our second child! I remember watching her with my first daughter in between shows on Noggin with Moose and Zee. We would love to go see her live! I left this on my Facebook page. She is so talented! The best kid music! Congratulations to Heather K. for winning this giveaway – Enjoy the show! Thanks for participating everyone. New giveaway coming soon. Congrats Heather 🙂 This was a great giveaway!